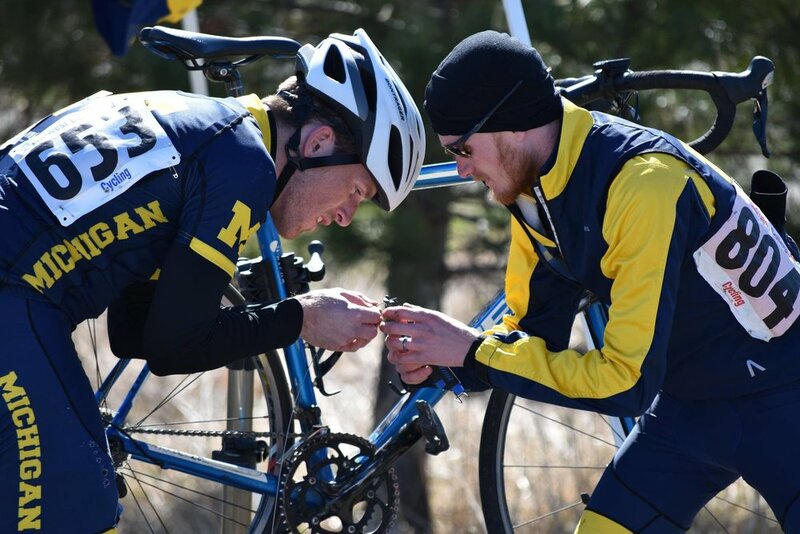 The University of Michigan Cycling Club is a group dedicated to offering a place for competitive and non-competitive riders to share their passion of riding bikes. 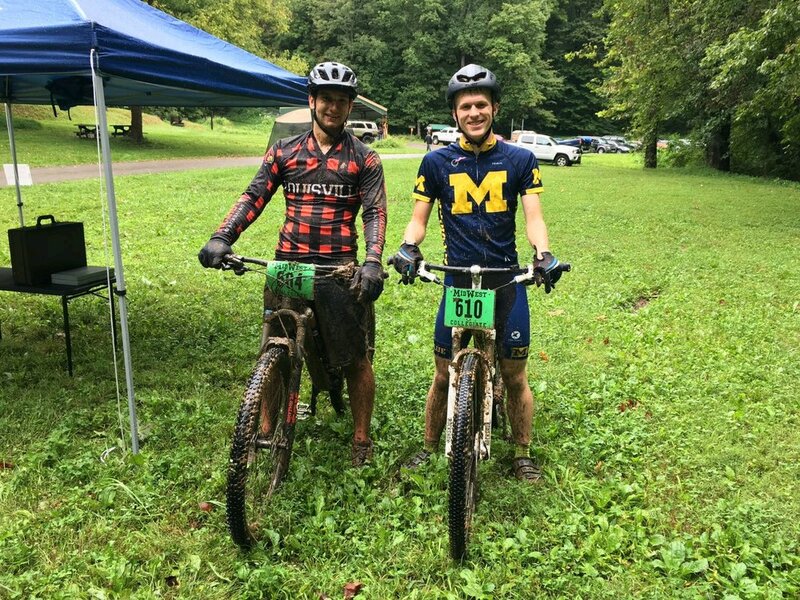 The club is non-exclusive and has riders from various backgrounds: undergraduates, graduate students, mountain bikers, cyclocross riders, and road racers. 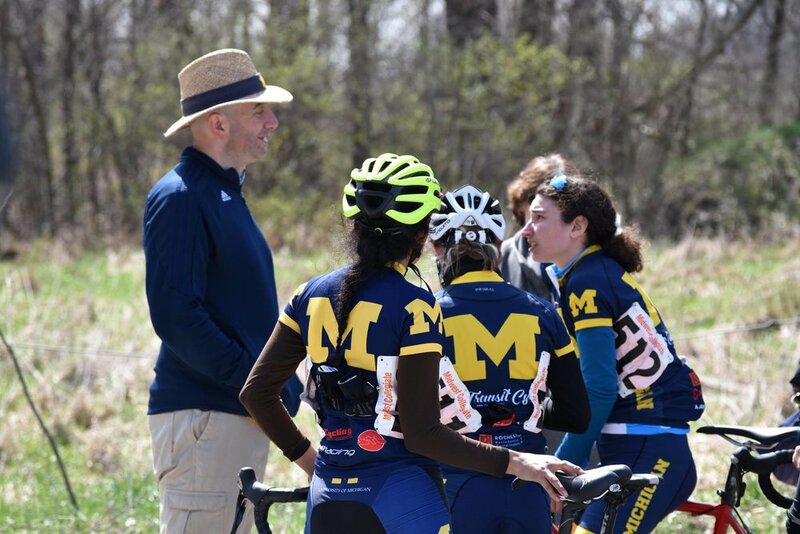 The club exists to promote and provide recreational and competitive opportunities for cycling to those associated with the University of Michigan. We provide the necessary logistical, social, and motivational support necessary for beginners to get into the sport and improve and for already skilled athletes to have a chance at national titles. 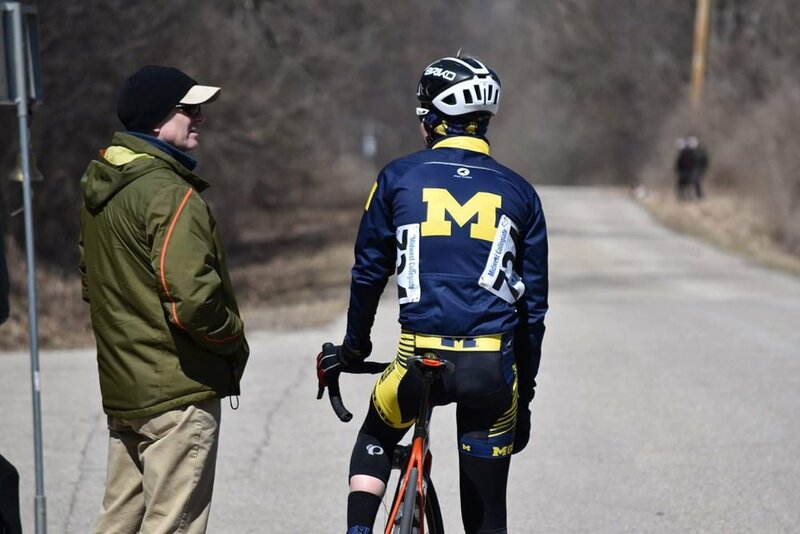 The collegiate racing calendar is broken down into three, non-overlapping collegiate seasons: mountain and cyclocross in the fall and road in the spring. We will generally try to attend all the races on the calendar for road, most for mountain, and some of the cyclocross races. 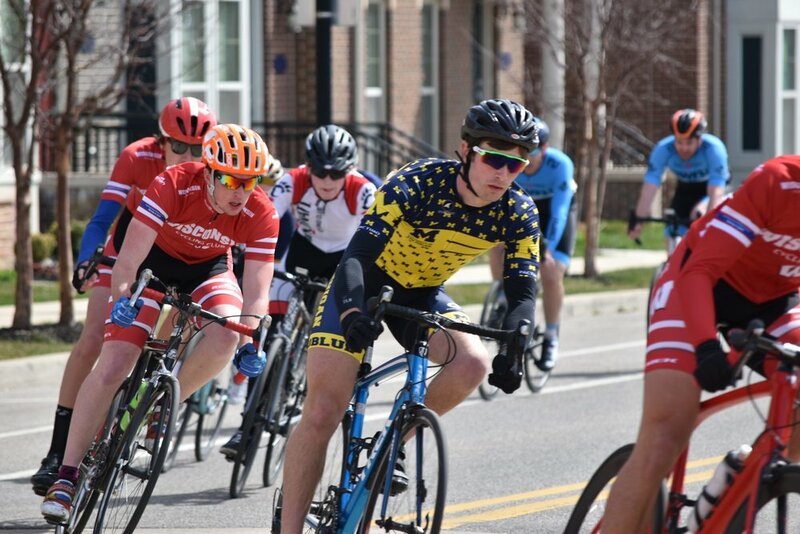 Since we race in the Midwest Collegiate Cycling Conference, some of the racing venues may be as far away as St. Louis, Kentucky, or even Wisconsin. We generally try to rent vans and arrange either home-stays or hotels for races. 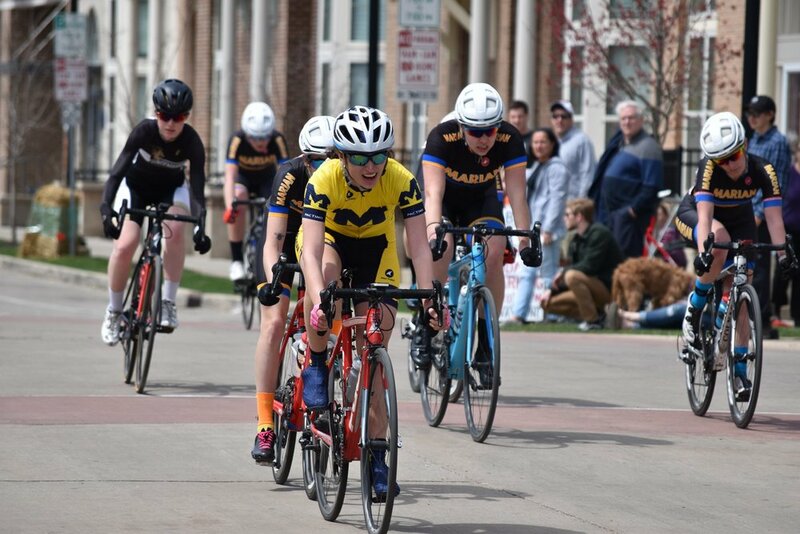 Each person racing must pay dues at the start of the racing season; in exchange, all race logistics are handled by the team (travel, lodging, etc). The racer only has to cover races fees (on occasion) and food for the weekend. When the weather isn't cooperating in the late fall and winter months, we run indoor practices on trainers. These indoor practices are Wednesday evenings in the Fall Semester, and Tuesday and Thursday evenings in the Winter Semester.. These practices aren't just your regular "get on the turbo and spin" but intense workouts designed by our coach Kurt Schaldenbrand to get you ready for race season just around the corner. However, you may still come with your trainer and do what you wish. These are well attended and are open to anyone who has completed the necessary paperwork and paid dues (or interested triathletes). Interested in coming to one but not sure if you’ll want to stick around and pay dues? Don’t worry, just email our officers and we’ll help. During the spring, we arrange an informal training camp. For several years we have based this camp in Helen, GA. Nestled in the Blue Ridge Mountains, this location provides us climbs and views we could only dream of in Michigan. This trip is also a great way to we would never see in Michigan and provides a unique team bonding experience that forges great friendships.